Once a promoter becomes eligible for a reward, we can handle emailing them their coupon code. To keep this process running by itself, we've made it easy to import coupon codes for your rewards, so as the rewards are earned the code can be sent & archived. 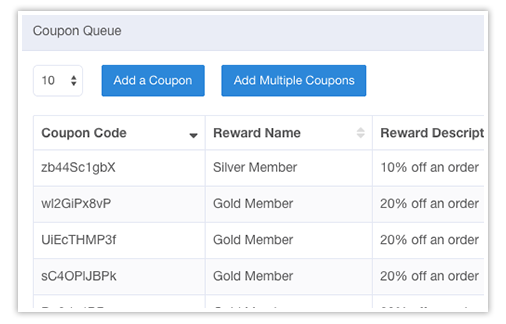 Alternatively, you always have the option of leaving the coupon queue empty, and individually sending the coupon code through the dashboard as a promoter becomes eligible.